"Money can you buy you a fine dog, but only love can make its tail wag." Going on holiday means leaving behind your much-loved dog. Many dogs find kennels to be a stressful environment and can develop problems as a result of their stay there. 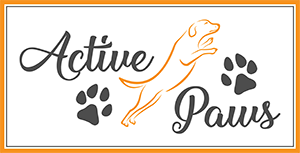 At Active Paws we will look after your dog in our own home. He or she will sleep wherever they would sleep in your own home. Your dog will be exercised twice a day for up to an hour each time. They will live as a part of our family meaning that they won't get locked up alone for long periods of time like they would in kennels. They will be fed at their normal times and groomed each day. Your dog can have its holiday at the same time as you and knowing your dog is being so well cared for means you can go ahead and enjoy your holiday without constantly worrying how your dog is. Contact us to discuss your needs and requirements.